Some states included protection for healthcare professionals who care for medical marijuana patients within their law. By providing explicit protection, some hospitals have successfully developed policies, allowing the patient to continue their regimen if admitted to a unit. Far too often, marijuana policies are non-existent partly from the lack of evidence, widely diverse viewpoints among stakeholders, education deficiencies, and conflicting legislation. Faced with controversy, the ultimate goal is to consider the patients preferences while maintaining your own morality.2 Without policies addressing medical marijuana, nursing care is precariously close to crossing lines ethically and legally. The goal of this paper is to clarify boundaries and provide direction for professionals encountering medical marijuana. The terms “marijuana” and “cannabis” are used interchangeably throughout this article. A patient admitted to the unit insists on maintaining his medical cannabis regimen and inquired about how to do so without breaking any hospital rules. The patient takes the labeled medication in tincture form and has proof of lab testing. The medication is inside the patient’s personal lockbox and the only key is worn around his neck. A state-issued medical marijuana card with the patient’s photo and information was presented to the bedside nurse for verification. Questioning the protocol, the nurse’s search for the hospital policy was unsuccessful. Subsequently, the nurse was not offered a concrete solution after notifying the appropriate personnel. During the investigation, the thrill of waiting escaped the patient and he signed himself out against medical advice. 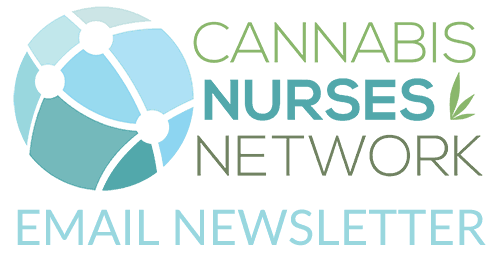 Recognizing similar situations may occur in the future, the nurse administrator collaborated with the nurse educator and formed a medical marijuana task force to find a solution. Federalism is the notion that the states are responsible for developing laws according to their population needs without the federal government imposing except to serve as a resource; however, the federal government provides funding only for the issues they seem fit as long as the states comply with their imposed regulations.8 Marijuana is still considered a federally illegal Schedule 1 drug and it has not been deemed safe by the U.S. Food and Drug Administration (FDA) (2017). Well-intentioned professionals are forced to consider the odds of prosecution and the potential impact on federal funding when participating in state-approved marijuana programs. In Conant v. McCaffrey 2000 WL 1281174 9, the United States District Court indicated that the federal government may not revoke a physician’s license if they recommend marijuana as a therapy for a patient’s ailments. The case was later appealed in Conant v. Walters 309 F.3d 62910 claiming that a recommendation will lead patients to violate the Controlled Substances Act of 1970 (21 U.S.C. 801 et seq. ); furthermore, the physician may be charged criminally for aiding and abetting. Judge Schroeder concurred with the previous findings that the government may not revoke a physician’s license based on recommending marijuana and would not constitute as aiding and abetting. Therefore, educating and recommending marijuana in appropriate situations is not unlawful. Part of the confusion for healthcare professionals is that each state varies in medical marijuana laws. Ideally, continuity among the states without federal involvement would bring much clarity to the community. According to Governing the States and Localities, 30 U.S. states and the District of Columbia have laws allowing some form of medicinal marijuana.11 In the case of the Michigan Medical Marijuana Act,12 the term defined for “caregiver” may be misleading if not read carefully. The “caregiver” is the designated and registered person responsible for growing or helping the patient get the medication. This does not include all caregivers. With this in mind, it would be a crime for healthcare providers to handle, dispense, or store cannabis for patients’ use. The Minnesota Medical Cannabis Act does offer state protection for employees if a facility wishes to accommodate medical use by managing the medications.13 Connecticut’s marijuana program indicated protection from criminal and civil actions for nurses administering the drug to approved patients, as long as it abides by state laws.14 It is important to note that no prosecution from the federal government has been pursued against a hospital who chooses to operate according to state law and disregarding federal law. As indicated by Borgelt and Franson, the Joint Commission requires medications brought from home to be controlled by the facility for accreditation.15 The Veterans Health Administration is one exception to this rule as the federal government controls their program. A facility operated by the federal government is unlikely to accommodate medical marijuana use among their patients. The practice act from the state governs nurses.16 If the steps to follow an institution’s policy and procedures for patients using medical cannabis is absent, the nurse must look further into their own state law. Navigating through these systems ultimately leave the nurse experiencing moral distress, especially if the answers are not in the law. For this particular dilemma, the nurses’ moral distress may have been prevented if the law addressed the situation, policies were in place, or education was provided. Instead, the nurse was left to decide between conflicting laws and what the patient believed was right. Simply looking the other way is irresponsible and dangerous practice. The three areas to address in this situation are the law, education, and policy. For Michigan, the law should be modified to include protection for licensed healthcare professionals in direct contact with authorized patients. The broad range for inclusion would protect professionals in appropriate contact with the drug (e.g. pharmacist verification, administration, storage). A policy should be developed regardless of the facilities stance. If employers want their staff mirroring company values, they must clearly state what those values are. Without policies or standardized protocols, the interpretation of the law may be misconstrued, leaving the company’s reputation in question. Even if a state has not adopted medical marijuana laws, education for the medical community should be a priority. The fact is, legal or not, patients are using cannabis across the globe. If those patients cannot rely on the medical experts, they turn to other sources. Many patients follow the advice from dispensary employees, while most know their cannabis, they are not educated in disease processes. Although most consider marijuana to be relatively safe, that cannot be determined by anecdotal evidence from individuals with limited “life” experiences. 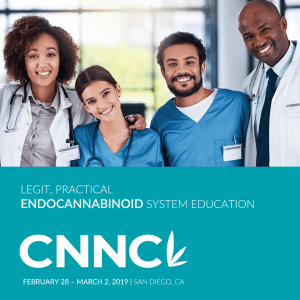 Most cannabis enthusiasts do, however, have more experience in the cannabis world and prove to be extremely knowledgeable. Collaboration between this community and medical professionals would bring patient education to new heights. 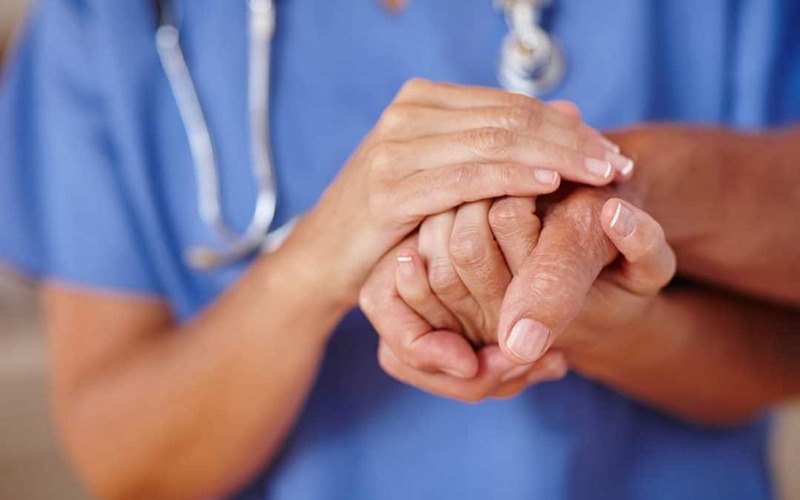 Providing patients with the knowledge to make informed decisions is a major nursing responsibility according to the American Nurses Association. 17 For example, cannabis can be smoked, vaped, taken by mouth, applied topically, administered by an oral mucosal spray, or as a suppository (Backes, 2014). Furthermore, routes have variations related to half-life, risks, dosing strengths, and effects. In promoting patient safety, harm reduction is the goal when a patient engages in questionable treatments. Merely educating a patient about the risks is not in violation of the law; instead, it offers patients tools to make informed choices. For Michigan, it would be wise to avoid contact with the patient’s supply. Until the law includes some protection for healthcare professionals, it is too risky. Additionally, the facility would have to implement numerous protocols related to testing the product, verification of the dosage, total amount allowed for each patient, dosages, routes, and storage for the safety for other clients. Another more feasible option is to allow the patient to continue but they must take full responsibility for the storage and administration. Certain rules would apply. For example, if a patient mistakenly drops the medication on the floor, they must be capable to retrieve that medication safely, or the caregiver must be present to administer their medication. Another safety protocol to consider is storage. The patient may have the caregiver bring the medication for that dose and take the remaining off of the property, or have a secure lockbox, only they have access to. Written agreements would have to be developed to thwart any liability away from the employees. Ignoring the issue is unethical practice and addressing carelessly could lead to prosecution. Hospital stakeholders are urged to identify their stance and create a policy to better protect their employees and reasonably accommodate their patients. Our patients are changing the laws to better suit their medical needs. As healthcare professionals, our support and drive for safe practices is crucial to our mission and our patient’s livelihood. It is imperative to recognize when a program is considered “medical,” healthcare professionals should be protected, prepared, and armed with the knowledge necessary for quality patient care. Lamonica, A. K., Boeri, M., & Anderson, T. (2016). Gaps in medical marijuana policy implementation: Real-time perspectives from marijuana dispensary entrepreneurs, health care professionals and medical marijuana patients. Drugs: Education, Prevention & Policy, 23(5), 422-434. Dolan, C. (2017). Moral, ethical, and legal decision-making in controversial np practice situations. The Journal for Nurse Practitioners, 13(2), e57-e65. Swisher, D.L., Arslanian, L.E., & Davis, C.M. (2005). The realm-individual process-situation model of ethical decision making. HPA Resource, 5(3), 1-8. Backes, M. (2014). Cannabis pharmacy: The practical guide to medical marijuana. New York, NY: The Black Dog & Leventhal Publishers, Incorporated. Nickitas, D. M., Middaugh, D. J., & Aries, N. (2016). Policy and politics for nurses and other health professionals: Advocacy and action. (2nd ed.). Burlington, MA: Jones and Bartlett Learning. Governing the States and Localities. (2018). State Marijuana Laws 2018 Map. Michigan Medical Marihuana Act, 170 MI. Comp. Laws. §§ 333-26421-26430 (2008). Russell, K. A. (2017). Nurse practice acts guide and govern: Update 2017. Journal of Nursing Regulation, 8(3), 18-25.